CLEAN ENERGY: The council will install 294 solar panels on the Bundaberg Multiplex. 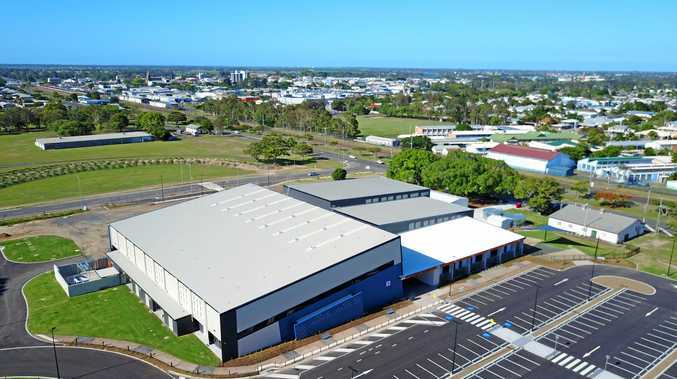 MORE than half a million dollars has been invested by Bundaberg Regional Council so the Bundaberg Multiplex can source its energy needs from the sun. As construction of Stage 2 of the project continues, the council has announced that GEM Energy will install the centre's custom-built solar system. Mayor Jack Dempsey said with electricity costs continuing to rise it was incumbent on the council to explore alternative energy supply methods to minimise ongoing running costs associated with the Multiplex. "GEM Energy is recognised as leaders in solar installation and have had experience in the Bundaberg region with The Friendlies and Bundaberg Christian College among its clients sourcing large installations,” Cr Dempsey said. "The installation at Bundaberg Christian College is rated as the largest hybrid system of its kind in Australia. Cr Dempsey said the purpose-designed 100kW solar photovoltaic system would meet the expected daily running needs of the Multiplex while surplus energy would be captured in a battery system that can store 200kWh of usable energy. While solar will provide the majority of the energy needs at the Multiplex, the facility will remain connected to the power grid in case solar is not able to provide sufficient power. "The solar installation involves the use of a Tesla battery system which, should there be insufficient sunlight to provide surplus to the battery, can be fully charged overnight utilising off peak commercial rates,” the mayor said. "Savings on power consumption at the multiplex is expected to be around $60,000 per year,” he said. As the Multiplex will also serve as an evacuation centre during disasters, a back-up generator has also been installed - but is solely for emergency use. Cr Dempsey said the council was consistently incorporating solar and other energy efficient options into new projects and upgrades, including the Rubyanna Wastewater Treatment Plant, Bundaberg Airport and treatment plants at Bargara, Thabeban and Milbank. The council's annual power bill is about $5 million. Last month, the NewsMail revealed that GEM Energy was working with the Friendly Society Private Hospital to install a solar installation costing more than $1 million. It's believed it will be the biggest hospital solar system in the country.